Climate change and variability has been detected in Ethiopia. Smallholder and subsistence farmers, pastoralists and forest-dependent households are the most hit by climate-related hazards. 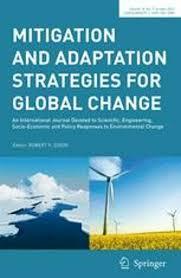 They have to have perception of climate change in order to respond it through making coping and/or adaptation strategies. Local perceptions and coping strategies provide a crucial foundation for community-based climate change adaptation measures. 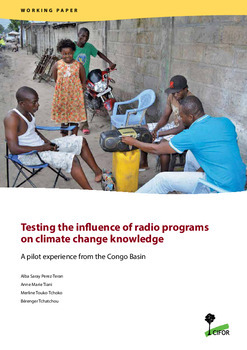 This study was specifically designed to (1) assess households perception and knowledge in climate change and/or variability, and (2) establish the observed changes in climate parameters with community perceptions and climate anomalies. Purposive stratified random sampling method has been used to gather information from 355 sample households for individual interviews supplemented by group discussion and key informants interviews. The analysis of observed and satellite climate data for the study district showed that mean maximum and minimum temperature for the period 1983-2014 has increased by 0.047 and 0.028 °C/year, respectively. However, the total rainfall has declined by 10.16 mm per annum. Seasonally, the rainfall has declined by 2.198, 4.541, 1.814 and 1.608 mm per annum for Ethiopian summer, spring, autumn and winter seasons, respectively. Similarly, the mean maximum temperature of the study area had showed an increment of 0.035, 0.049, 0.044 and 0.065 °C per year for spring, winter, autumn and summer seasons, respectively. The observed climate variation has been confirmed by peoples perception. Considering what had been the existed situations before 30 years ago as normal, an increase in temperature, an increase in drought frequency, a decrease in total rainfall, erratic nature of its distribution and the tardiness of its onset had been perceived by 88, 70, 97, 80 and 94% of the respondents, respectively, at current time-2015. Deforestation as a casual factor of climate change and variability had been perceived by 99.7% of the respondents. This had been also confirmed by scientific studies as it emits carbon dioxide and is the main driver of climate change and variability. Indigenous knowledge, including climate predictions, has been used by people to implement their day-to-day agricultural activities. Therefore, science should be integrated with the perception and indigenous knowledge of people to come up with concrete solution for climate change and variability impacts on human livelihoods. Authors: Mekonnen, Z.; Kassa, H.; Woldeamanuel, T.; Asfaw, Z.